SmartKey RAR Password Recovery -- Remove/Recover/Unlock WinRAR archive with RAR password cracker. 100% password recovery rate for all versions of RAR files (including WinRAR 5.1/5.0). 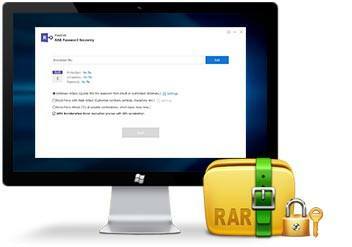 Securely remove RAR and WINRAR password within seconds, no loss or damage to data. Crack RAR password faster with Multi-core CPUs and NVIDIA-GPU acceleration. 3 efficient attack options provided: dictionary attack, brute-force attack and mask attack. 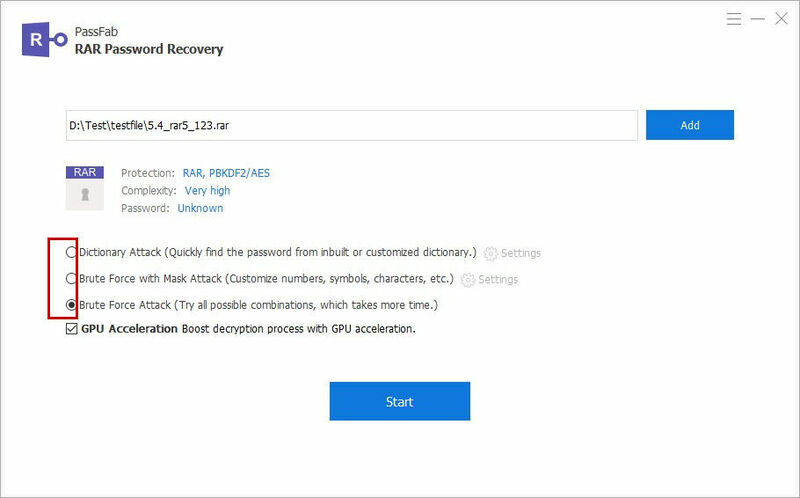 Save recovery process and shut down computer automatically after recovery. The 3-step operation ensures you find back your lost password without any technique background. Quickly recover or remove RAR password with Multi-core CPUs and NVIDIA-GPUs. Throughout the recovery process, no loss or damage to data. Providing 3 different attack methods, you can set up the best suitable one to shorten the password cracking process. Dictionary Attack – Efficiently recover lost RAR password by trying the combinations in the up-to-date built-in dictionary. Brute-force with Mask Attack - Greatly reduce the recovery time with personalized password settings including password length, special characters, and so forth. Brute-force Attack - Try all combinations of password when you have no idea of the password. Automatically save password recovery state so that users can resume WinRAR password process after a sudden stop or a crash. Shut down your computer automatically when have bypassed RAR password completely. Work perfectly on Windows 10, 8.1, 8, 7, XP, Vista and Windows Server 2016/2012 (R2)/2008 (R2)/2003 (R2). Support all versions of WinRAR, RAR or other archives software. RAR Password Recovery rated 4.5 stars by CNET editors. It's so easy to find passwords of encrypted WinRAR files. Thumbs up! Sounds Good? 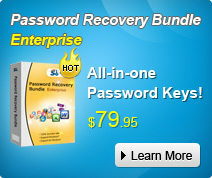 Get " RAR Password Recovery " Now!